Mientras Hasu-no-Hana capitalizó el furor de la moda japonista que influenció el arte y cultura europeos durante los últimos años del siglo XIX, Shem-el-Nessim prefirió un motivo orientalista y debe su nombre a una festividad egipcia que tiene lugar durante la primavera (Shem el Nessim quiere decir oliendo el céfiro). En la misma manera que Hasu-no-Hana, su perfil se corresponde con una visión occidental idealizada de tierras lejanas. El aroma de este céfiro, sin dudas exquisito, encontraría su lugar apropiado en alcobas o salones de baile eduardianos más que en los alrededores de la Gran Pirámide. Cuando Simon Brooke decidió revivir Grossmith -la casa de perfumes que alguna vez había pertenecido a su familia- buscó la ayuda de Roja Dove. Juntos reconstruyeron las fragancias, que luego fueron elaboradas por Robertet. Una alianza entre Dove y Robertet podía significar una sola cosa para mí: calidad impoluta. Siendo, además, una nostálgica irredimible de la Belle Époque, hace un par de años decidí correr el riesgo y comprar una botella de Shem el Nessim sin haberlo probado antes. Shem-el-Nessim, creado originalmente en 1906, le dio alas a mi melancolía. Nostálgico y reconfortante a la vez, me recordó a otro perfume que solía ser bellísimo hasta que la reformulación aniquiló todas sus sutilezas y contradicciones: L’Heure Bleue. Esto no resulta sorprendente, ya que L’Heure Bleue fue creado apenas seis años más tarde que Shem-el-Nessim, así es que ambos encarnan el zeitgeist de la Belle Époque. Al aplicarlo, Shem-el-Nessim no defrauda. Me rodea una nube floral y atalcada, que amenaza con permear mis poros. Una vez que mengua el estallido original, puedo empezar a apreciar sus muchas sutilezas. La bergamota y el geranio son los responsables del cosquilleo inicial. El perfume cobra luego un carácter decididamente floral, cuando notas melifluas notas de jazmín, rosa e ylang-ylang infunden su sensualidad al blend. Si bien resulta fácil identificar las notas individuales, la transición entre ellas es continua, sin fisuras y la sensación general es de refinamiento. El orris concede su presencia aristocrática, pero se siente inusualmente cálido, casi dorado, al estar en combinación con heliotropo, vainilla, sándalo y almizcle. Esta delicada belleza empolvada me provoca ganas de llorar y gritar de alegría a la vez (¿gritar?¡cuán impropio! ), a diferencia del L’Heure Bleue actual que sólo me causa ganas de llorar. La única desventaja que encuentro es que el eau de parfum de Shem-el-Nessim no tiene demasiada longevidad sobre mi piel. Soñaré con su magnífica versión parfum hasta tanto pueda comprar una botella. While Hasu-no-Hana capitalized the Japonist rage that influenced European art and culture during the last years of the XIXth century, Shem-el-Nessim chose an Orientalist motif instead and owes its name to an Egyptian holiday that takes place during Spring (Shem el Nessim means smelling of the Zephyr). Much like Hasu-no-Hana, its profile corresponds to an idealized Western vision of distant lands. The scent of this Zephyr, without a doubt exquisite, would perhaps be more at ease in Edwardian alcoves or ballrooms than around the Great Pyramid of Giza. When Simon Brooke decided to resurrect Grossmith -the perfume house that once belonged to his family- he sought Roja Dove‘s help. 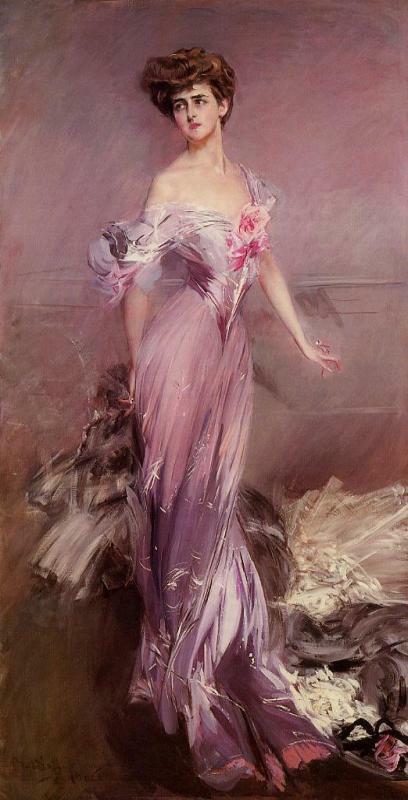 Together, they reconstructed the fragrances, which were later produced by Robertet. A Dove–Robertet alliance could only mean one thing to me: flawless quality. And being a hopeless nostalgic for all things Belle Époque, a couple years ago I took the plunge and decided to purchase Shem el Nessim unsniffed. Shem-el-Nessim, which was originally created in 1906, gave wings to my melancholy. Nostalgic and comforting at the same time, it reminded me of another fragrance that used to be beautiful until reformulation destroyed all of its subtleties and contradictions: L’Heure Bleue. This is not surprising because L’Heure Bleue was created a mere six years after Shem-el-Nessim, so the zeitgeist of the Belle Époque is embodied in both of them. Upon application, Shem-el-Nessim doesn’t fail to satisfy. A powdery floral cloud surrounds me, almost threatening to permeate my every pore. Once the initial blast subsides, I am able to fully appreciate its many subtleties. Bergamot and geranium are responsible for the initial tingle. The fragrance later acquires a decidedly floral character, when honeyed notes of jasmine, rose and ylang-ylang infuse the blend with their sensuality. While individual notes are easy to identify, the transition between them is seamless, continuous and the overall feel is one of refinement. Orris graces the composition with its aristocratic presence, but feels unusually warm, almost golden, since it is paired with heliotrope, vanilla, sandalwood and musk. This delicate, powdered beauty makes me want to weep and cry with joy at the same time (cry with joy? how improper! ), unlike current L’Heure Bleue which only makes me want to cry. The only drawback I can think of is that Shem-el-Nessim eau de parfum doesn’t have much longevity on my skin. I will dream about the magnificent parfum version until I am able to purchase a bottle. This entry was posted in Perfumes, Reseñas - Reviews and tagged almizcle - musk, bergamota - bergamot, cedro - cedarwood, geranio - geranium, heliotropo - heliotrope, iris, jazmín - jasmine, neroli, orris, Roja Dove, rosa - rose, sándalo - sandalwood, Simon Brooke, vainilla - vanilla, ylang ylang. Bookmark the permalink. Great review! I didn’t have much luck with the brand so far. When I tried Saffron Rose it was a total scrubber, I had to wash it off my skin earlier than after an hour, I couldn’t stand it so much. I tried Shem-el-Nessim a while back and if I remember well it reminded me of Guerlain’s L’Heure Bleue. 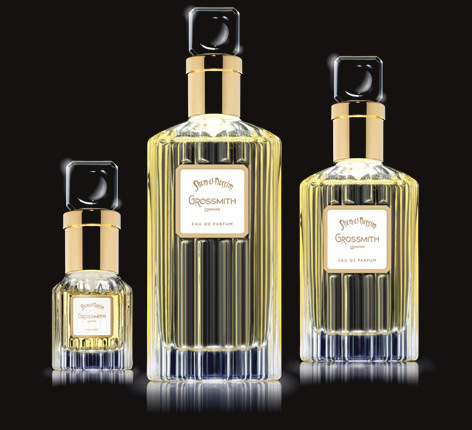 I haven’t tried any of the “new” Grossmith fragrances, but I like their first three fragrances very much, especially Shem-el-Nessim and Hasu-no-Hana. I have to be in a certain mood to wear them because they are so evocative and nostalgic. After wearing SeN a few times I understood how different it is from LHB: warmer, lacking that medicinal note. I cannot even wear the parfum version of current L’Heure Bleue, so Shem-e-Nessim makes for an excellent (if costly) substitute. Sounds stunning! What a lovely review (and painting). I’m not one generally for powdered scents, but this sounds truly lovely, especially if it can be a small substitute for vintage L’Heure Bleue. (I share your pain on its current state.) Wonderful review, Caro! I don’t think you would like Shem-el-Nessim. Hasu-no-Hana might suit your tastes better. Hasu-no-Hana also has better staying power. I find S-e-N a bit light for an eau de parfum (especially for a costly one). Don’t even get me started on current L’Heure Bleue…Is it not possible to reformulate a fragrance without killing it? Thank Goodness, I still have some vintage parfum left.